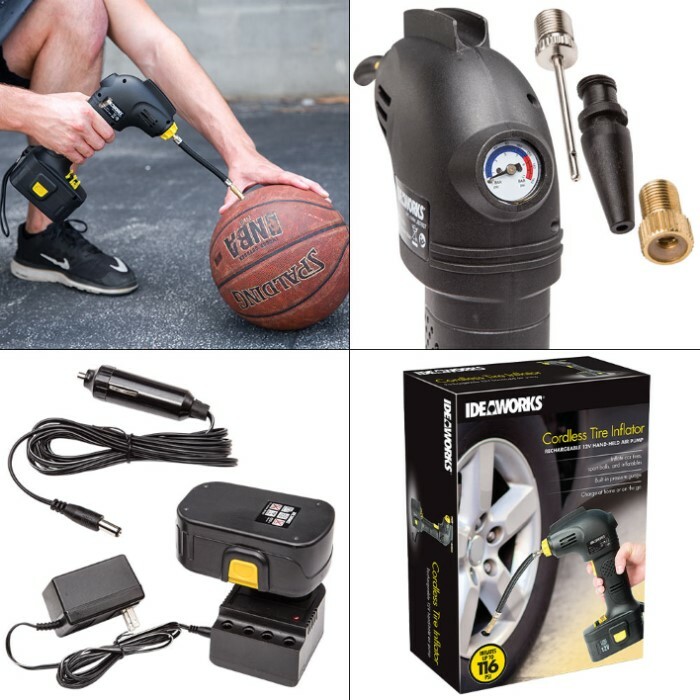 Cordless Rechargeable Tire Inflator | BUDK.com - Knives & Swords At The Lowest Prices! 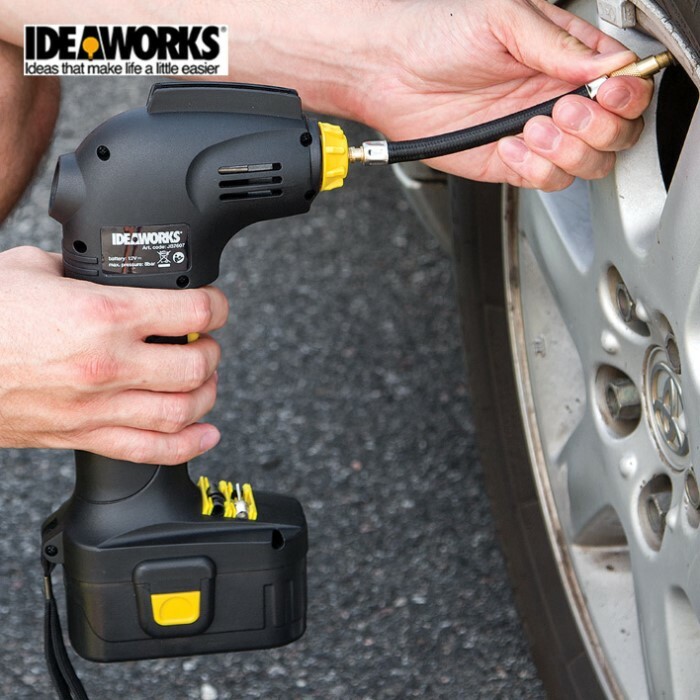 The Cordless Tire Inflator is a rechargeable 12v handheld air pump that is a necessity for your vehicle and home. 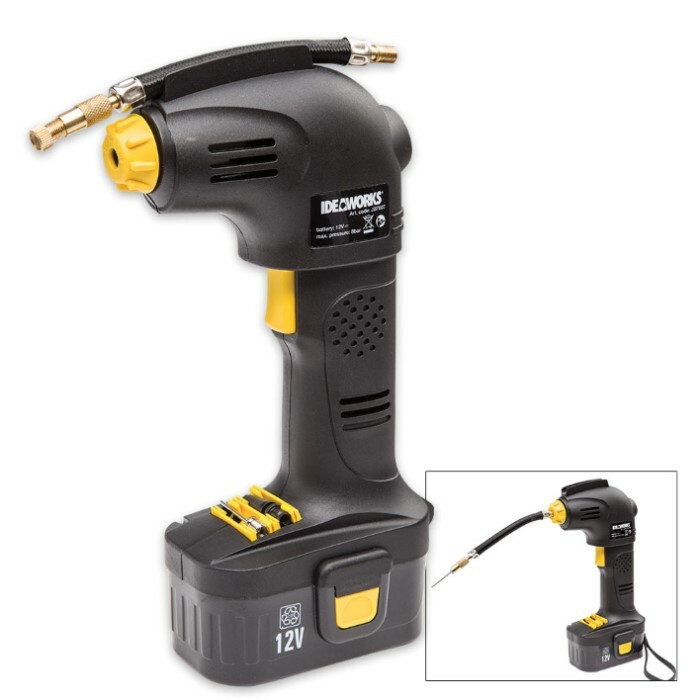 Just charge it at home or on the go and it will inflate up to 116 psi. It can be used for tires, sports balls and inflatables. Comes in handy around farm and ranch. Have used it on wheel barrel tire and side by side tires. Works fine. Well worth the money.